Editor’s Note: This information was sent by the International Transport Forum, and although it isn’t specifically related to motorcycles, we thought it was an interesting if sobering look at worldwide road safety (or lack thereof). We’re hoping that the ITF’s December 2008 publication entitled “Trends in the Transport Sector, 1970-2007” will include a breakout of worldwide motorcycle accident rates. 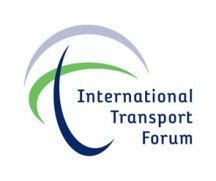 Paris, France, November 20, 2008 – “The latest news on road crashes is depressing” said the Secretary General of the International Transport Forum Jack Short today in Paris, as he presented the most recent data from the International Transport Forum. Over 150,000 people lost their lives and a further 6 million people were injured in road crashes in the 44 countries of the Forum that reported data for 2007 (see charts below)..
Road deaths per capita vary by a factor of almost 8 across the countries. “This is what is most depressing”, said Short, “the measures and policies to reduce crashes and fatalities are well known. If all countries had fatality rates like Japan, Norway, UK or the Netherlands more than 80,000 lives would be saved”. Looking regionally, Central and Eastern Europe both show significant increases in fatalities. Rapid motorization is a factor in the region but the figures show “the lack of continuous and determined political effort” in these countries, according to Short. In Western Europe, the picture is more mixed but the recent decline in fatalities has slowed and the 1.2% decline in 2007 fatalities is the smallest for the last 5 years. Moreover, in Western Europe the number of casualties and the number of injury accidents have increased “a sure sign that we are not making our road system safer” said the Secretary General. Better news comes from countries outside Europe where there have been small reductions in fatalities, casualties and injury accidents in the major countries. The U.S.A. reduced both injury accidents and casualties for the seventh consecutive year; Japan’s striking improvement makes it now the best performing country in the International Transport Forum with 45 fatalities per million inhabitants. More information for the U.S.A. on the Fatality Analysis Reporting System. In Western Europe, the number of road traffic fatalities declined in 2007 by 1.2%. However, this decrease was accompanied by a rise in both the number of casualties (+1.4%) and the number of accidents (+5.6%). These data are strongly influenced by the performance of Turkey which has shown significant increases in all three indicators. In 2007, only the United Kingdom and Greece recorded drops in the number of fatalities, casualties and injury accidents. At the same time Denmark, Finland and Sweden have seen their road fatalities increase by 32.7%, 13.1% and 5.8% respectively. In Central and Eastern Europe the number of road fatalities increased by 6.4% in 2007. This result is all the more disappointing since the region recorded at the same time strong increases in the number of casualties (+6.4%) and number of accidents (+6.7%). With the exception of Bulgaria, Estonia, Hungary and Lithuania, which show a drop in road fatalities, casualties and injury accidents, all other countries have been confronted with a rise in the number of fatalities on their roads. Countries like the Czech Republic and Romania saw their fatalities increase by 15% and 12.8% respectively. In 2007, the Community of Independent States (CIS) recorded a strong rise of its road fatalities by 8.2%, breaking the positive signs recorded in the last few years. With the exception of Russia (+1.8%) the number of persons killed on roads increased strongly in all countries, and particularly in Ukraine with +38.1%. As far as non European members of the ITF are concerned, they continue to show encouraging results in 2007, recording a drop of 3.1% in the number of fatalities, 2.8% in the number of casualties and 3.3% in the number of injury accidents. Only Mexico and New Zealand are showing a strong rise in road fatalities (+10% and 7.9% respectively). The number of casualties and injury accidents are also increasing in these two countries. 1) For Italy and Ireland, the number of fatalities refers to the year 2006. 2) Cyprus is not included. 3) Armenia, Belarus, Bosnia, Montenegro, are not included.